tombau05: Toyota Prius V plug-in hybrid in the works? Given that Toyota will launch the Prius Plug-in in spring of 2012 and that the Prius V is basically a roomier version of the standard Prius, it seems like a no-brainer for Toyota to eventually equip the V with plug-in components, right? Well, that seems to be one option that Toyota is keen on. The engineers and designers don't leave any possibilities out of the equation. The Prius V packaging is very similar to the Prius on purpose. In the back of the car under the floor where the battery sits, the packaging is almost identical so the larger battery required of the plug-in system could fit there the same as it does in the Prius Plug-in. Hopefully the success of the plug-in Prius will help us move towards the release of a plug-in Prius V. If our customers demand a plug-in from us we will deliver it. If we need to adjust our product strategy to remain on top, and that means we need to add a plug-in Prius V, we will do it. Based on these statements - and our suspicion that the Prius Plug-in will be a hit - a plug-in version of the Prius V certainly seems likely, doesn't it? 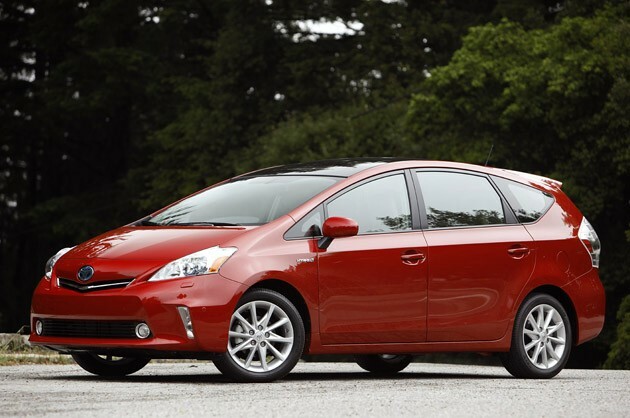 Toyota Prius V plug-in hybrid in the works? originally appeared on Autoblog Green on Mon, 27 Jun 2011 19:53:00 EST. Please see our terms for use of feeds.